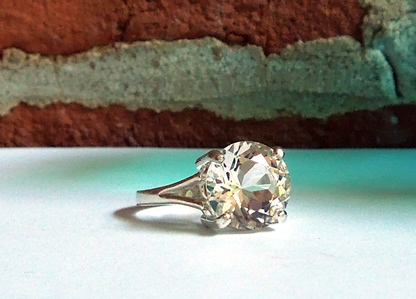 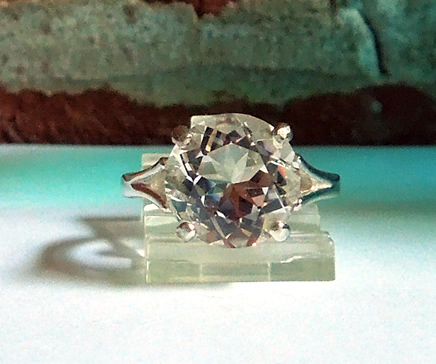 This large water clear round cut Herkimer Diamond makes a statement in this simple solitaire setting. 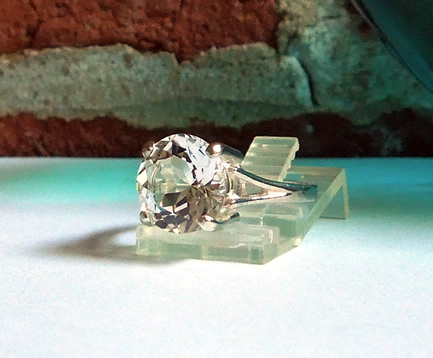 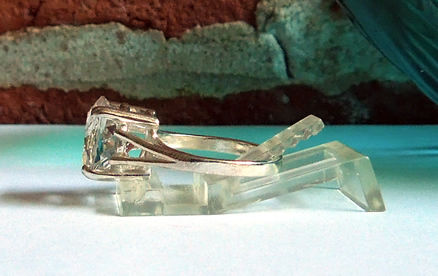 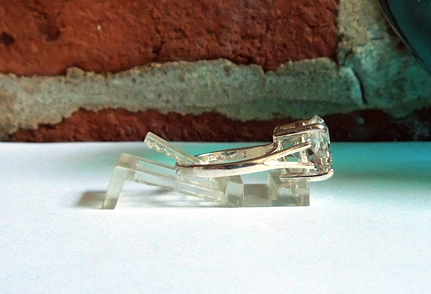 The machine cut Herkimer quartz measures 11x11 mm / 4.5 ct. and is stunning. 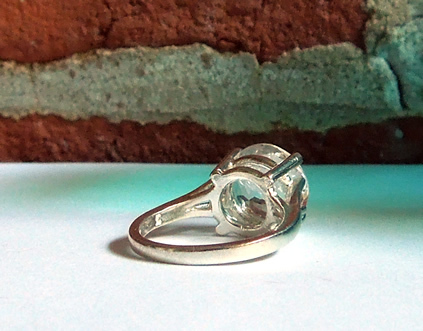 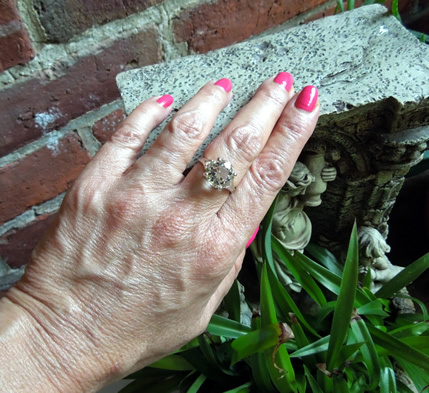 The minimalist setting is Sterling silver, size 7. 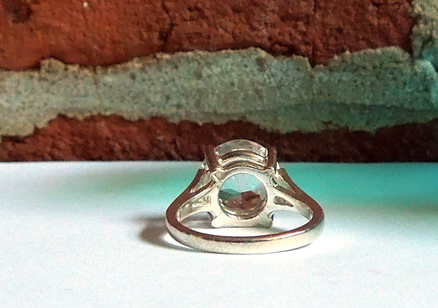 A large, but minimal statement ring.